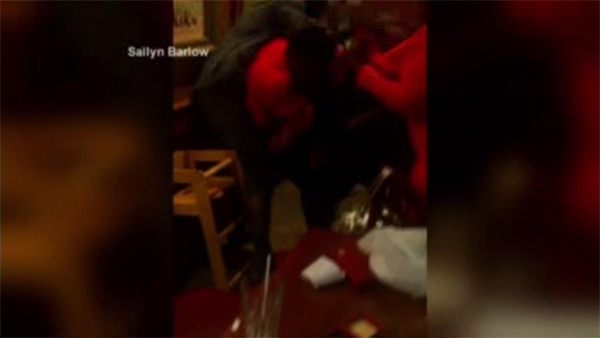 A fight broke out at a restaurant in Georgia on Mother's Day - and it was all caught on camera. Knuckle sandwiches were added to the Mothers' Day menu when a fight broke out at a restaurant in Georgia on Sunday. The video shows the massive fight that erupted between five customers and the staff at Kiku Japanese Restaurant. Police are looking for five people in connection with the brunch brawl. The owner says he easily lost $5,000 from people who left without paying.